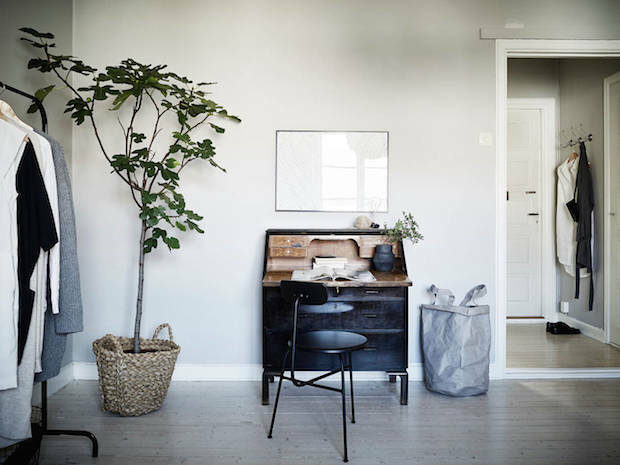 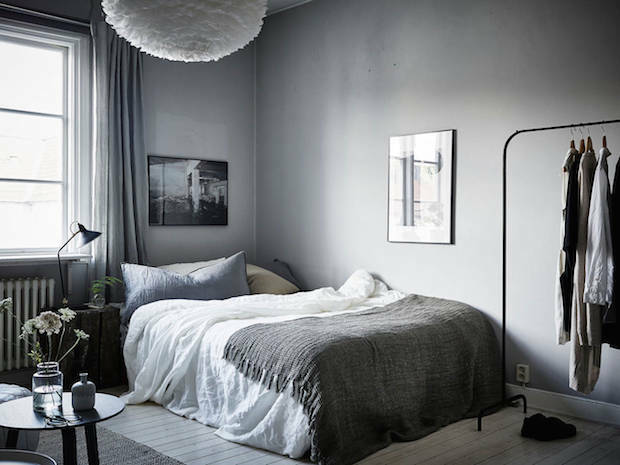 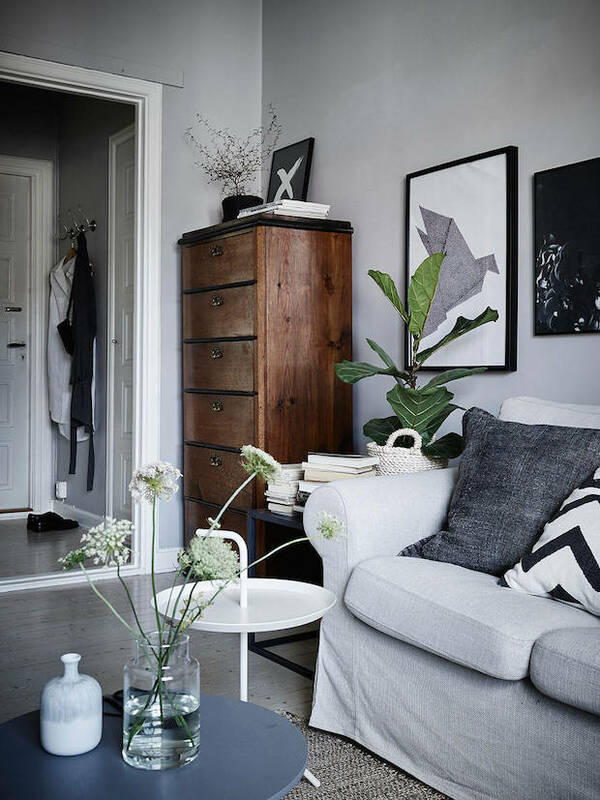 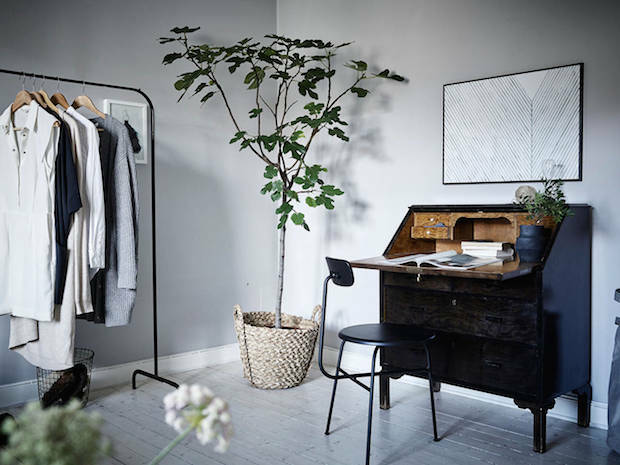 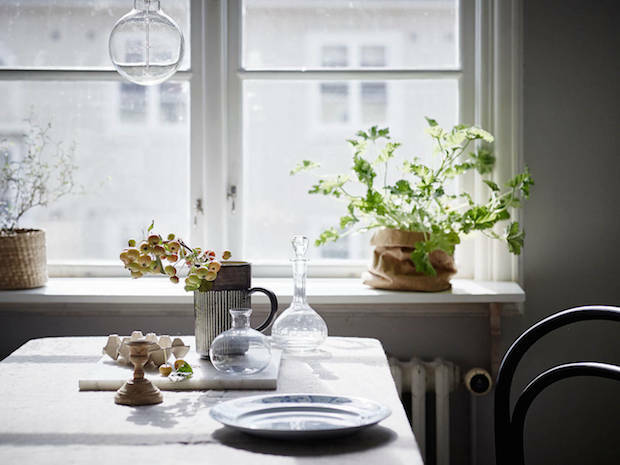 As a fan of cozy little homes and grey walls, I really like this one-room apartment in Gothenburg, Sweden. 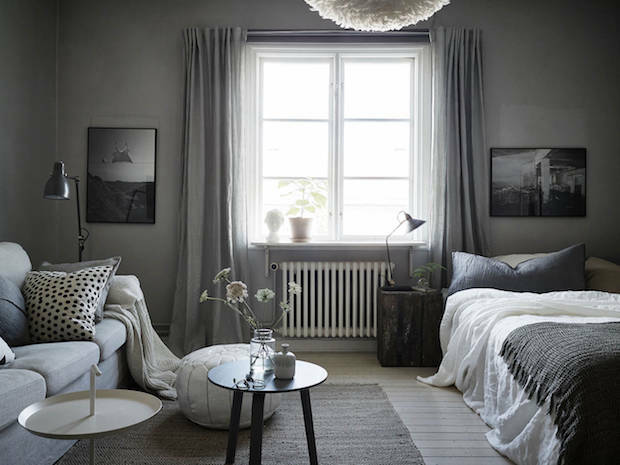 The serene color palette applied to the walls and furnishings makes up a wonderful, cocoon-like atmosphere. 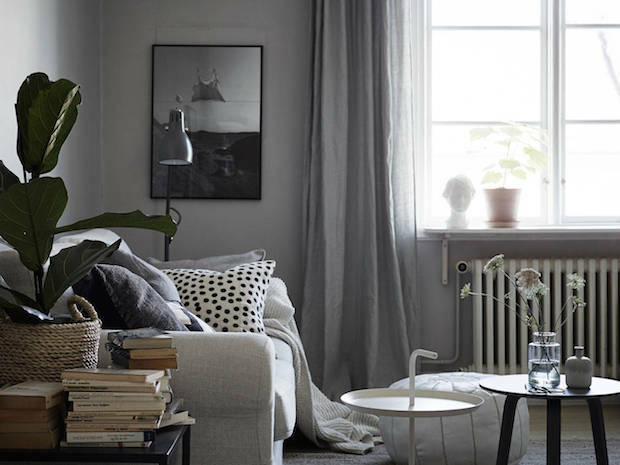 Very warm, inviting and comfortable, as well as well-organized and functional. 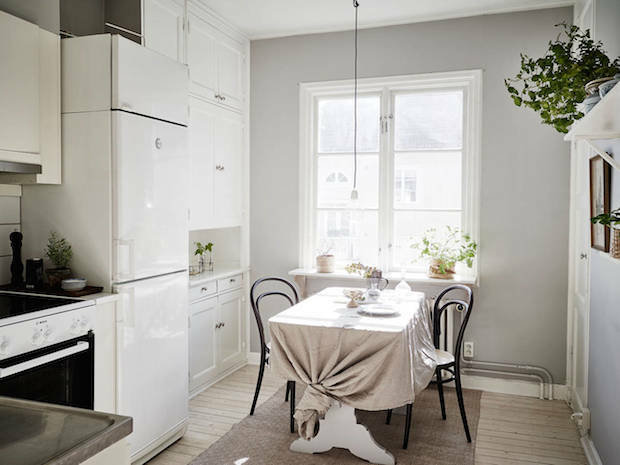 It’s a cute and small home with lots of character and style. 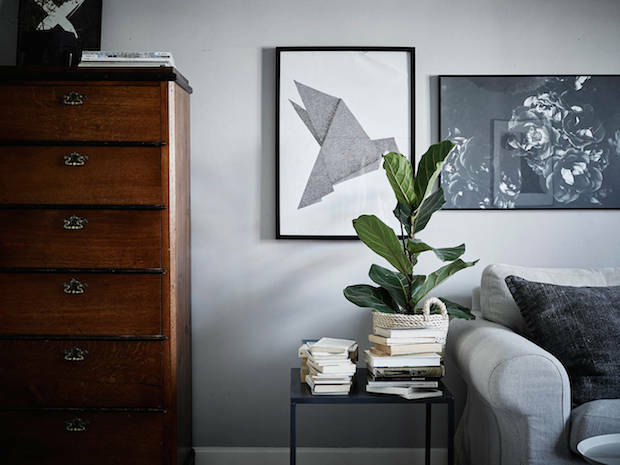 Scroll down to take the tour.